Are you achieving and sustaining the full potential your dairy is capable of? Using our team approach to problem-solving, we will help you identify areas of opportunity on your dairy. Through coaching, training, and analytics, we will help you and your team execute a plan to keep your dairy moving forward. Our services are also available in Spanish! Form-A-Feed is excited to introduce the new Prime Life Dry Cow product line to meet the needs of transition/dry cows with medicated and non-med options. I can see my calves swarm to the Stress Lic tubs when we put them in. Calves don’t lick ground or gates anymore, and they are healthier. The whole Form-A-Feed team is always ready to help with anything we need. They are great people to work with. I’ve noticed a lot less coughing in my calves since feeding Calf Renew. It helped stabilize their rumens. Since we started using Hydro-Lac over the summer, we have noticed that cows keep eating and maintain their milk production. It is a great product that I will always use. 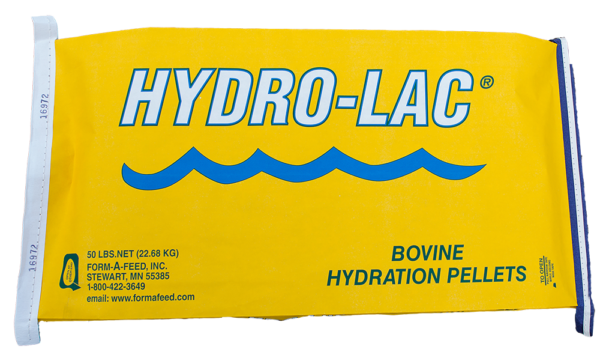 Pierz Co-op adds Hydro-Lac into my lactation ration for the summer. We had great success with our herd adjusting to heat stress. The herd stays on feed, maintains production and we have less reproductive issues coming into the fall months after a hot summer. We feed Hydro-Lac to the milk cows in the summer to help the cows through the heat. It really helps keep the cows going and they rebound better after hot spells. Sci-Mic BC Boluses work great for cows that are off-feed. They help get them get-going no matter what the problem is.